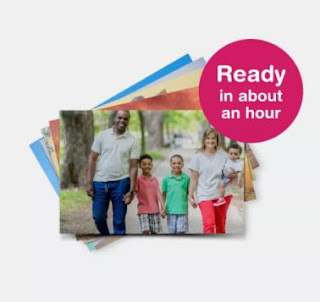 Right now at Walgreens score 50% OFF 4x6 Prints of 75+ w/ code 50PICS + Same Day Pickup. These would go nicely in an Easter Basket! Right now at Best Buy you can grab these Marvel - FRS 2-Way Radios (Pair) ONLY $9.99 (Retail $24.99). Let young superheroes communicate easily with these KIDdesigns Amazing Spider-Man walkie talkies. These two handheld units are simple to operate, so kids can coordinate their comic-inspired adventures from across the yard. 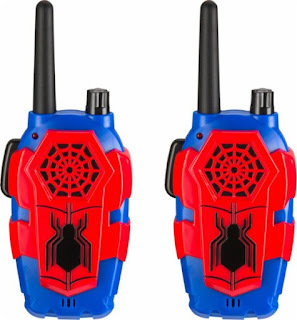 Each of these battery-powered KIDdesigns Amazing Spider-Man walkie talkies has a different image to let children identify which unit is theirs. 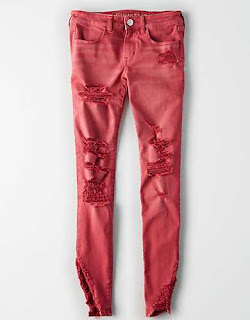 American Eagle is offering Buy 1 Get 1 50% off Jeans and Joggers. Cute gift! 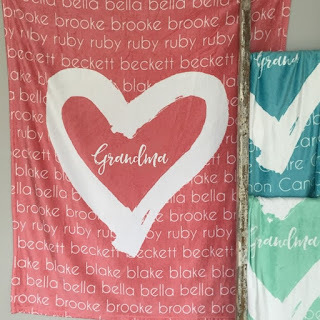 Personalized Mother's Day Blankets for $47.99 (Retail $59.99). These cozy blankets make the perfect gift for your loved ones! Give as gifts for Mothers, Grandmothers, Aunt's and Uncles! $6.95 for the first item and free for each additional item. US only. Ships no later than Sat, Mar 24. Today ONLY (3/10) - these Men's Fresh Foam Zante v3 are $54.99 (Retail $99.99). The desire to feel fast never goes away. Built for high speeds, the Fresh Foam Zante v3 men's lightweight running shoe features an aggressive toe spring and a comfortable no-sew material application for a sleek fit. Taking inspiration from iconic '70s and '80s models, the sleek profile on this render lends a modern look that leads the style pack. The men's Fresh Foam Zante v3 is streamlined for speed with bootie construction that delivers a snug fit. Meanwhile, the lightweight solid rubber outsole offers durable cushioning that's designed to endure mile after mile. 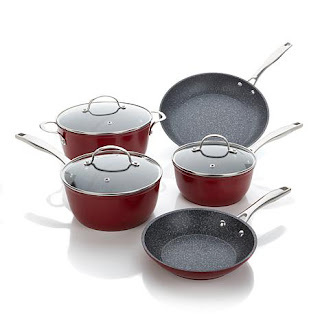 Check out this Curtis Stone 8-Piece Dura-Pan Nonstick Cookware Set for $119.95 (Retail $201.20). Serve up inspiration for dinner. Curtis' new cookware set makes easy meals and complicated recipes totally accessible. Forged aluminum construction ensures even cooking, and Dura-Pan nonstick coatings combine great food release with long-lasting durability. Wherever your epicurean whims take you, make sure your meals make the journey from your recipe box to your table in this fantastic cookware. Right now get this H&amp;R Block Tax Software Deluxe + State 2017 with Microsoft Office 365 Home 1-year subscription, 5 users, PC/Mac Key Card for $89.99. -Item is shipped in Frustration-Free Packaging; it is recyclable and comes without excess packaging materials. 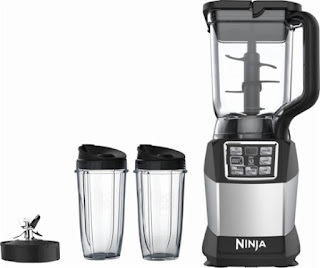 -Save $20 on this product when you purchase it with a PC or Desktop that is sold and shipped by Amazon.com. Add both products to cart to see savings. -1-year subscription for 5 PCs or Macs, 5 tablets including iPad, Android, or Windows, plus 5 phones. -Each user also gets 1 TB of OneDrive Cloud storage. -Always have the latest, fully installed versions of Word, Excel, PowerPoint, Outlook, and OneNote. (Publisher and Access are available on PC only). Check out these *TOP SELLING* Easter Bunny Raglans $9.99 (Retail $31.99). Holiday's are meant to be fun for our little ones. We have found that giving them something special to wear for that Holiday adds to the level of excitement. We have created a great selection of personalized Easter Bunny Graphic Raglans. We hope that you find one that works well with your little one's personality. Pick Your Graphics - Pick Your Shirt Color - Pick Your Shirt Size and we will create a shirt just for your little one! $3.24 for the first item and $1.99 for each additional item. US only. Ships no later than Thu, Mar 15. 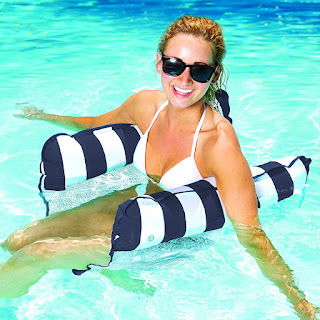 I just snagged a few of these for our pool! HURRY! These *BEST SELLING* Aqua Leisure 4-in-1 Multi-Purpose Pool Floats are $12.99 when you clip the $2 coupon. WOOT WOOT! Vineyard Vines is offering Save 25% Off Everything with code FRIENDS18 at checkout. That does include the SALE sections - which makes this popular Long-Sleeve Slub Vintage Whale Tees $18.74 (Retail $49.50). 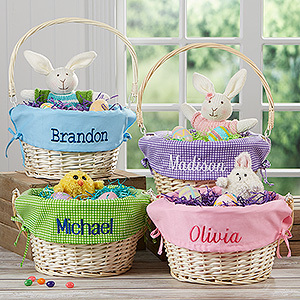 Personalization Mall is offering 25% Off Personalized Easter Gifts and Free Shipping on orders over $35 with code PMSHIP35 at checkout. Through the weekend this Joslyn Coverlet Mini Set is ONLY $24.99 (Retail $100). Wrap yourself in a cozy layer with this coverlet set from Home Essence. This coverlet mini set includes 1 coverlet and 2 shams. The coverlet and the sham feature floral printed details in a classic combination of aqua and grey. The coverlet includes a poly-cotton filling and has quilted patterns with self-fabric binding throughout. The fabric is prewash and hence, there is no fear of fabric colors spreading onto other fabric. Add warmth and color to your bed with the Joslyn coverlet mini set and enjoy a cozier and a more comfortable sleep. 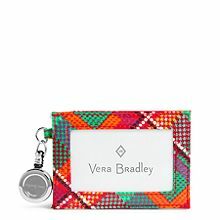 This weekend Vera Bradley is offering FREE Shipping Sitewide. My favorite place to head is the SALE section. I actually grabbed a few things for Easter Baskets. My daughter will be in style with this Retractable Lanyard ID Case for $8.40 (Retail $14). Right now you can get a pair (or two...) of these So Soft Capri Leggings for ONLY $7.99 (Retail $19.99)! Today only these Braven Wireless Portable Bluetooth Speakers are just $19.99 (Reg. $49.99)! 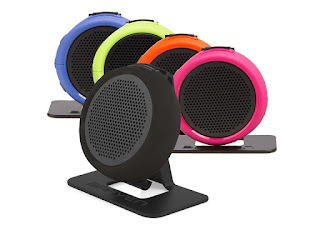 Part of our highly acclaimed Active Series, the BRAVEN 105 Bluetooth speaker also comes with a versatile Action Mount accessory that can be used as a stand or mount to play tunes your way. While on the go, the internal speakerphone enables hands-free phone calls with noise-canceling technology for background sound. Experience wireless streaming and be amazed by the impressive volume that comes from such a compact speaker with the BRAVEN 105. Easily hold the circular 105 in the palm of your hand. Hurry over to Home Depot because today only you can save up to 30% off Select Outdoor Power and Storage Equipment! Shipping is FREE! Check out this Hampton Bay 10 ft. x 10 ft. 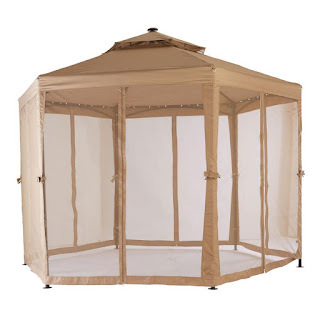 Solar LED Lighted Gazebo now just $269 (Reg. $299)! 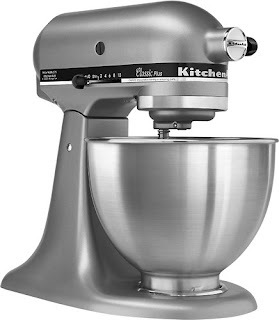 Here's a really nice price on this KitchenAid - Classic Stand Mixer for $209.99 (Retail $419.99). 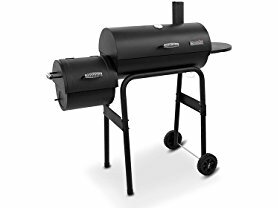 Today only and while supplies last Woot.com is offering Char-Broil American Gourmet Offset Smokers in Standard or Deluxe Models starting at only $59.99 (Reg. $79.39+)! These heavy duty Char-Broil Smokers feature easy-access drawers to make replenishing water and wood chips a simple process. The steel construction and square legs make the Char-Broil Offset Smoker sturdy and stable. A welded cooking chamber keeps smoke inside, so you get the most flavor possible. You can control how hot your Char-Broil American Gourmet Offset Smoker gets with the fully adjustable heat control, and it also keeps smoke under control with the adjustable top chimney vent. A steel box holds wood-chips, and a porcelain-coated enamel pan contains the water. Attached side handles and wheels make it easy to move the Char-Broil Smoker from place to place when necessary. Today ONLY (3/9) - Save 25% on Premium Heating Pads. Prices start at ONLY $25.95. I could use the PureRelief Neck &amp; Shoulder Heating Pad with Fast-Heating Technology right now.